The main reason why you need to create regular backups of your device is so you can have peace of mind should data loss occur. The minute you lose data on your device, you will have a new-found appreciation for a backup. But what happens when the data you lose is not included in any of your backups? Unfortunately, this is an all too common experience and if the data you lost includes photos from your Camera roll, it is understandable that you would be panicking right now. But fear not! There are solutions even to this seemingly impossible problem as this article shall reveal. Can Deleted iPhone Photos Be Recovered? That seems to be the giant question and yet, they can be. When you delete data on your device, you should know that your device’s system doesn’t completely eliminate the data, it just removes the file marker that used to represent the data to make space for more. 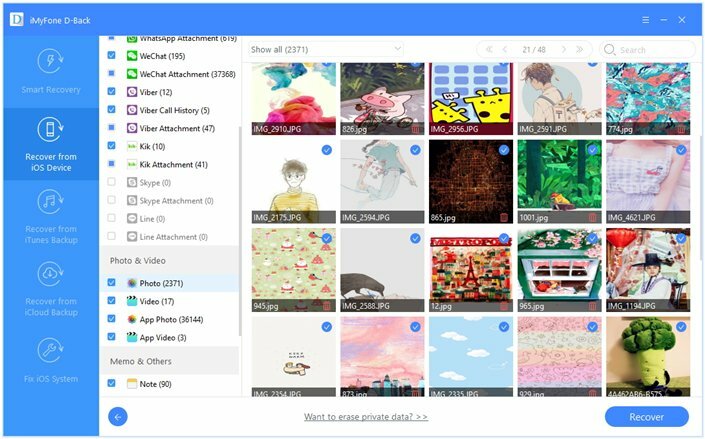 This means that with the right tool, you can easily gain access to the deleted photos and recover them. But we must warn you that this will only happen if the missing photos haven’t been overwritten. to prevent overwriting the missing photos, simply stop using the device the minute you find out some of the data is missing. To recover the missing photos, you need the services of an iPhone data recovery tool. iMyFone D-Back or iMyFone D-Back for Mac is such an iOS data recovery tool, which is effective and easy to use enough to help you get your photos back in a matter of minutes. The following are some of its features. 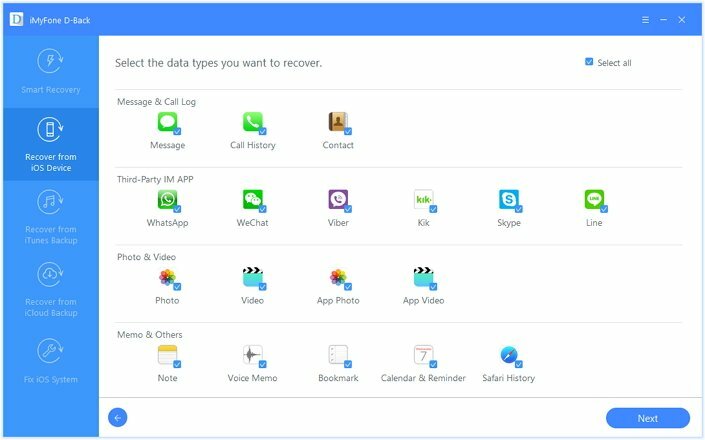 It can be used to recover over 22 different types of files from your device or extract the data from iTunes or iCloud Backup files such as photos, contacts, videos, notes, text messages, iMessages, MMS, WhatsApp data and more. It is simple to use, even if you don’t consider yourself tech-savvy. It comes with a preview function to aid in selective recovery as we shall see shortly. Here’s how to use iMyfone D-Back to get your photos back. Step 2: Here, you will be required to connect the device to your computer. Once the program recognizes the iPhone, click “Scan” to begin analyzing the device. Step 3: The analysis process shouldn’t take too long, once it is done, select the photos that were deleted from the results and then click “Recover.” Choose a location on your computer to save them. 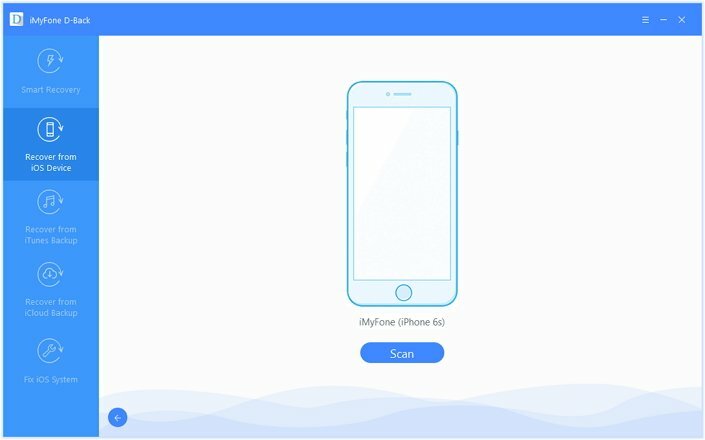 Try the free trial version of iMyFone D-Back iPhone data recovery for Win or iPhone data recovery for Mac to check whether your photos can be recovered or not.